Another Class 43 HST is heading for Hull! Home 'Mainline Diesel' Another Class 43 HST is heading for Hull! 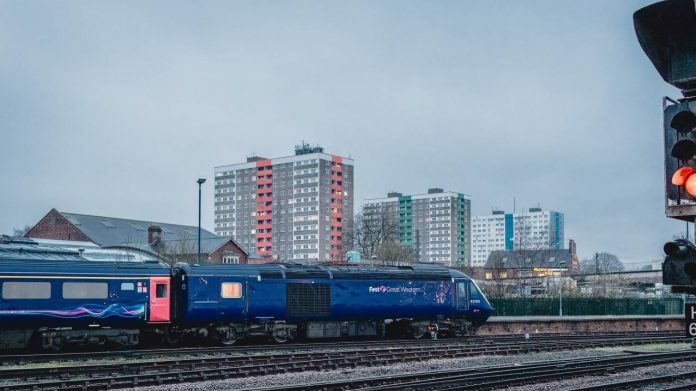 Hull Trains has announced that they have secured the loan of another Intercity 125 High-Speed Train from Great Western Railway. The additional train will be included as part of Hull Trains’ service in order to improve the reliability of the train operating company’s fleet of Class 180s, which will be in service until the arrival of a fleet of new trains in November 2019. The company had already secured a HST in January, which is already in service from Thursday to Sunday. From Sunday, it heads to Bristol for maintenance. The additional train will run from Monday to Thursday, meaning that Hull Trains has additional resource readily available should there be a fault at any time. The HST only became available as GWR continues to introduce a brand-new fleet of trains in the south west. The HST will enter service ahead of the delivery of a fleet of new state-of-the-art Class 802 trains in December. 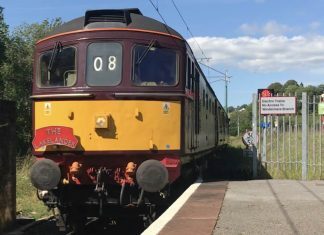 The addition of the first HST has resulted in far fewer cancellations during the first part of 2019. “Bringing the first HST into service has been extremely beneficial for Hull Trains and its customers – we have already seen more reliability and punctuality in our services. “The HSTs do not only provide the additional resource which allows us to run our services, but it also allows us to reduce any strain on our current Class 180s until the new trains are launched in November. As Hull Trains are to hire the Class 43 HSTs as a stop-gap. When the Class 802 IETs do eventually enter service in December. I probably would think that some might be cascaded to ScotRail and some to Crosscountry. And the Class 180 “Adelante” DMUs might end up transferred to be stored or to be used elsewhere or in future cascaded to Republic of Ireland as they might want extra additional trains. Good to see the HST fleet still finding useful employment albeit on short-term duties; as for the 180 Adelantes, they have been a bad buy for all their operators and I can see them going to scrap, especially as EMT Coradia units coming off-lease post-Abellio are a better option for other operators.